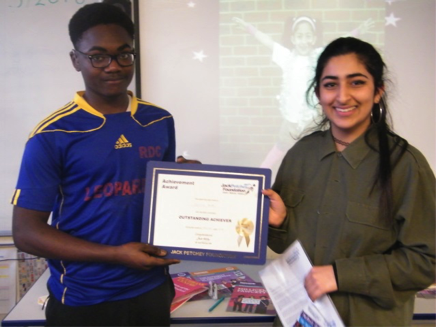 The deserving Spring Term winner of the prestigious Jack Petchey Award was Sania. Everyone was incredibly proud of Sania and other students hailed her as a ‘dedicated student’, ‘a good role model’, ‘fun to be with’ and ‘works harder than anyone’. With her winning bursary, Sania wanted to do something to help the whole school. After careful consideration Sania is donating some of her award to help the Vertical Tutoring groups and she also took her tutor group to Planet Hollywood in Haymarket, London for a celebration meal. 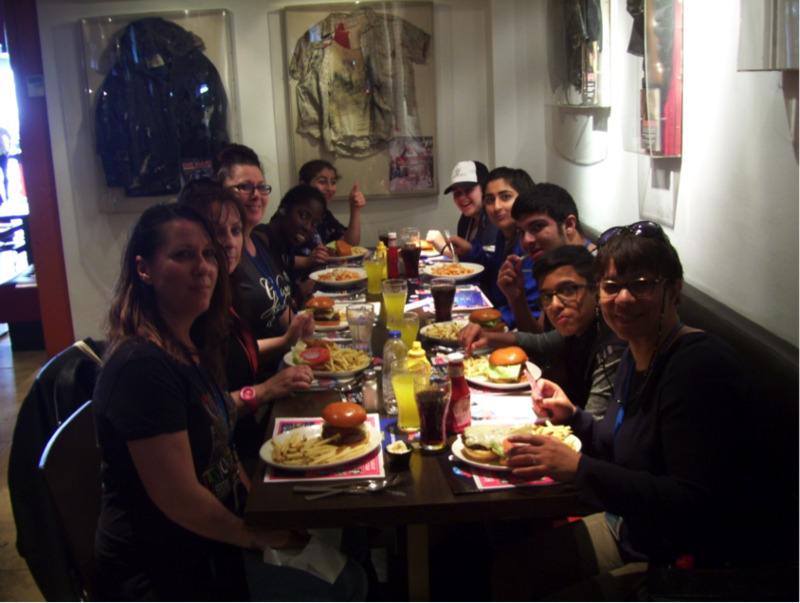 It was a lovely sunny day and the group looked around Trafalgar Square and then went to the restaurant which is linked with Hollywood and films. We had a great time and it was a lovely team building experience for Year 11. The Jack Petchey Award has been running successfully in our Secondary department for many years now. Every term staff and students vote for the winner. It can be for a variety of reasons; hard work, improved learning, kind and caring or a good role model. The winners are given a certificate, badge and £250 to spend on something for the school. Winners have used the money in a wide variety of ways such as go-karting, bowling, theatre trips, meals out with their tutor group and also buying resources for Vertical Tutoring and sports. In the summer, Haringey organises an award ceremony for the families of the winners from all Haringey schools. All winners receive a medal. Click the link to read more about The Jack Petchey Foundation. 2019 Blanche Nevile School for Deaf Children. All rights reserved.